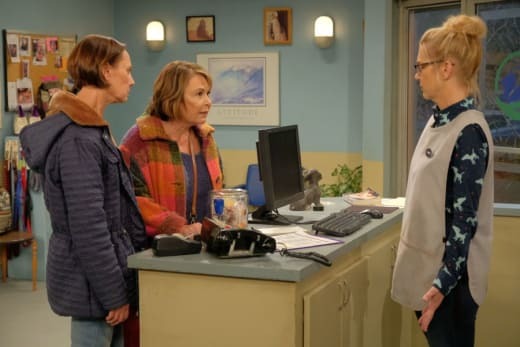 Roseanne (15.2 million viewers/3.9 rating) took a big hit in the ratings in week two. The revived comedy series slipped almost 3 million viewers and around 20 percent in the demo vs. last week's opener. The Middle (8.3 million/2.2 rating) got a boost, while Black-ish (5.4 million/1.5 rating) and Splitting Up Together (4.8 million/1.4 rating) fell back down to earth. For The People (2.8 million/0.8 rating) slipped a tenth. 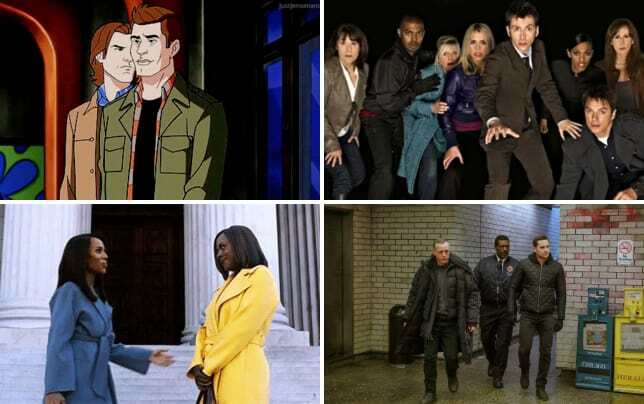 CBS: NCIS (12.1 million/1.3 rating), Bull (11 million/1.2 rating) and NCIS: New Orleans (8.5 million/0.9 rating) were right on par with last week. NBC: The Voice (9.3 million/1.8 rating), Rise (4.5 million/0.9 rating) and Chicago Med (6.2 million/1.1 rating) inched up. Fox: LA to Vegas (2 million/0.7 rating) and The Mick (1.9 million/0.7 rating) were both stable. The CW: Black Lightning (1.5 million/0.5 rating) was steady with last week's ratings.